Producing consistently classic designs is key to becoming an iconic brand and Oeuf has certainly achieved that in its eleven short years. We have been graced with yet another elegant design, which will be sure to reach heirloom status. 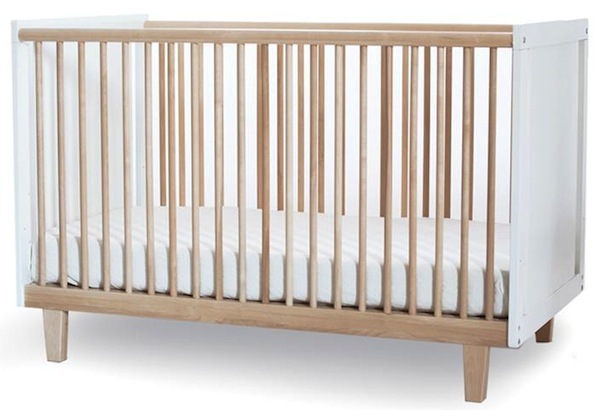 Meet the Oeuf Rhea Crib – clean lines, unobtrusive aesthetics, pure serenity in a baby bed. It’s described as a modern twist on the much coveted Oeuf Robin Crib and sure, it’s true to current decor obsessions with mid-century furniture and architecture. Where the Robin has end panels with continuous legs, the Rhea has plain but dapper tapered legs in your trim choice of either birch or walnut. Also available is a conversion kit to transform the cot into a toddler bed or day bed; probably one of the nicest conversions I’ve seen. 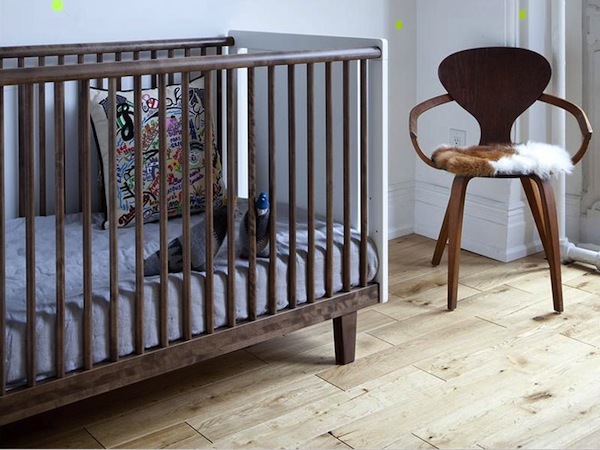 We hope this new Oeuf Rhea Crib will arrive in Australia this year sometime – we’ll keep you posted. 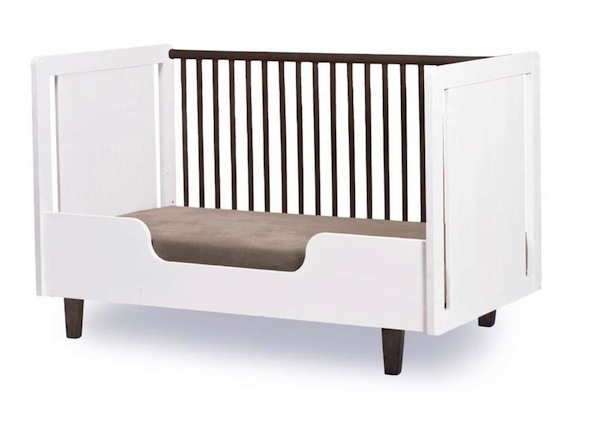 The US price is $670 for the cot and it co-ordinates beautifully with the Merlin dresser.